Ashworth Black Ltd has designed annual bonus schemes which reward individual, team, department or company performance or a mixture of one or more of these four types of performance against set targets for comanies throughout Scotland and the UK. Bonus scheme awards usually take the form of one-off payments. There are various types of bonus plans that can be put into effect at your business. To increase employee motivation by establishing a clear link between pay and performance (at an individual or team level). To encourage change within the organisation. To create the desired workplace culture by, e.g. rewarding teamwork and good attendance. Many companies are extending their bonus schemes to cover a wider range of factors, reflecting a broader set of business objectives. This can help avoid the potentially distorting effect of focusing too much on a single measure. In addition to financial and output considerations, bonus schemes increasingly take into account factors such as attendance, customer service, quality, safety, team and individual performance or various HR-related measures. However, some companies operate successful schemes that focus on one particular key objective – most often profits or productivity. Tying bonuses to multiple business objectives can be achieved in different ways. Perhaps the most straightforward approach is to operate a range of bonus schemes providing appropriate incentives for different employee groups, while also operating corporate-level schemes to reward all employees for the overall performance of the company. The main alternative is a multi-factor, multi-level bonus plan. A growing number of organisations are introducing this type of multi-factor bonus scheme. A multi-factor, multi-level bonus scheme allows a company to operate targets for specific jobs, teams or departments alongside site-level or company-wide elements. Local targets can be set over which employees can exert significant influence, while at the same time a link can be maintained to the performance of the organisation as a whole. Increasingly, companies are seeking to establish more dynamic bonus schemes that allow them to alter or add factors each year in line with changing business objectives. Team-based Bonus Schemes are gaining in popularity. By measuring targets at the level of specific teams, the impact of employees‘ performance is much more visible than if the bonus were to be based on corporate-level factors alone. A team bonus scheme can encourage employees to develop new ways of working to meet their shared targets and can help to reinforce the culture of team working itself. Bonus schemes, as a form of variable pay, help to add flexibility to the overall remuneration strategy – rewarding staff as and when the business is performing well, without permanently increasing the pay bill. The number of features involved in the design of a bonus scheme means that there are a significant number of permutations to choose from. In theory a company could operate a scheme at any one or more of these levels. The constraining factor however, in any bonus scheme, is cost. Bonus schemes can be based on a single factor or a range of factors. Single factor schemes allow special focus to be put on a key target or business objective. This may be of ongoing importance, such as profits or productivity, or a matter that needs particular short-term attention. Multi-factor bonus schemes take in a wide range of factors and may include targets at a corporate level in conjunction with targets aimed at particular departments or teams. A similar outcome may be achieved by using a number of single-factor or single-level schemes. Productivity bonus schemes and output bonus schemes are mainly used in manufacturing, e.g. piecework (where employees are paid according to the number of pieces or units they produce ), but is being used increasingly in other sectors e.g. to measure the time taken from receiving details of a job to completing it. In this type of circumstance of course, good productivity also equates with good customer service. Again quality bonus schemes are relatively predominant in the manufacturing sector; it’s easy to measure quality as the number of defects found per day, week or month. However, the Service sector also uses quality as a factor e.g. setting a target for the level of data capture accuracy each month or measuring critical success factors. Health and safety is most likely to feature as a factor in bonus schemes in manufacturing or other contexts where the perceived risks are highest. Gain-sharing bonus schemes particularly focus on cost reduction and efficiency savings. Gain-sharing is a formula-based type of bonus scheme that enables employees to share in the financial gains and efficiency savings made by a company as a result of improved performance. The formula determines how the gains are to be shared between the company and its employees. Many financial services organisations have bonus schemes based on the collection of bad debts. A significant proportion of companies have bonus schemes based on financial targets (e.g. net asset growth) and some are based solely on profits. Sales revenue commonly features as a factor in bonus schemes operated by service sector companies, particularly retail and financial services organisations. There is a growing tendency to include customer service measures in bonus schemes. This is particularly the case in retail and elsewhere in the service sector. Public sector organisations also increasingly link bonus payments to their customer service targets e.g. processing 99% of documents within 5 days of receipt and responding to 90% of telephone calls within 20 seconds. The bonus scheme can also be based on performance against a number of customer service targets. A number of organisations measure customer satisfaction through surveying customers, customer comments/feedback cards or “mystery customer” visits. Attendance is often one of the measures included in multi-factor bonus schemes, usually as an absence rate at site, divisional or team level. Some organisations still continue to operate single-factor bonuses to reward individual employees for “perfect” or “full” attendance, usually measured over a week or a month and with resulting payments ranging from £10 per week to £800 per annum or 5% of salary. However, too many exemptions or valid reasons for absence can undermine the rationale for an attendance bonus. This has no doubt played a part in the decision by a number of companies to phase out attendance bonus schemes or consolidate them into basic pay. Many companies have chosen to use “absence triggers” for bonus scheme payments regardless of whether sales targets are being met, to receive a bonus payment. Other companies pay out full bonuses, proportions of bonus or no bonus depending on the number of instances of absence or where the individual is in their absence management procedure. 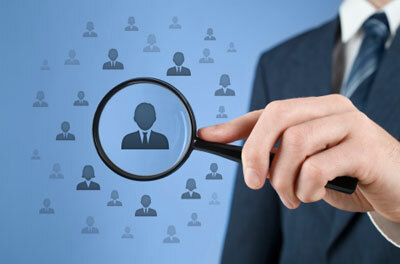 HR-related targets in bonus schemes are sometimes set for managers. These may, for example, cover staff training and development targets and employee morale. By operating bonus schemes based on multiple factors, targets can be included in a scheme that are tailored to particular projects falling within the bonus period – providing incentives for completion to deadline, specification and cost. An organisation can base, say 20% of its gain-sharing plan on input measures, which include the completion of projects on time and development of new strategy. Effective team working can be a factor in a bonus plan. This factor can also be used as an element of individual performance. Most companies use teamwork in their competence framework or as a core competence which is rewarded through performance/contribution pay. Individual performance can be included as a factor in its own right, being derived from performance appraisals or separately measured. Many companies, especially financial services sector, use individual performance to measure the individual element of a multi-level bonus scheme i.e. bonus schemes which reward corporate, team and individual elements. If employees are rewarded through performance pay and bonus for individual performance then this would be referred to as double-loading, paying twice for the same result. It’s advisable therefore not to use individual performance as a factor in a bonus scheme if the company has performance pay unless you are measuring different aspects of individual performance. Most companies are self-financing, using profits, sales or cost savings to create a bonus pool which is distributed among employees in a variety of ways. The frequency of these payments varies and often depends on the objectives of the scheme. However, before any payments are made, qualifying hurdles or minimum target levels may have to be met. The frequency of payments varies from weekly to annually and is linked to the objectives and types of bonus scheme operated. Most companies make payments on an annual basis because they have linked their bonuses to annual profit targets. In some contexts, shorter measurement periods and regular bonus payments may have a greater motivational impact. Conversely, the longer the bonus period, the more scope there is for making a significant lump-sum payment that stands out more from basic pay. Interest in a bonus scheme that measures performance over a longer period can be maintained by communicating progress against targets to employees on a regular basis. An annual bonus payment can also act as a retention tool, although there is likely to be a surge of leavers immediately after bonus is paid. Threshold profit level – most of the profit related bonus schemes fully or partly based on financial measures include a threshold profit level that must be reached before any payments are made. Absence triggers – many companies have chosen to use “absence triggers” for bonus payments regardless of whether sales targets are being met, to receive a bonus payment from the scheme. Management Discretion – organisations often maintain a degree of discretion over the payment of bonuses e.g. the board may reserve the right not to make bonus payments if a serious lapse, such as a major health and safety incident occurs on site or not making bonus payments if financial objectives or critical success factors are not met.